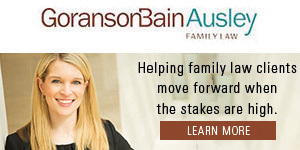 The Family Place has announced that Elizabeth Dacus, Jane Rozelle, and Samantha Wortley will be the 2016 co-chairs of Partners Card, its annual shopping fundraiser presented by Bank of Texas. Partners Card, now in its 24th year, will run from October 28 through November 6. Cards will go on sale September 1. With the purchase of a $70 Partners Card, cardholders are invited to shop, dine and save with a twenty-percent discount at more than 750 participating retailers and restaurants throughout the Dallas-Fort Worth area. All proceeds from the card sales go to The Family Place, Dallas’ largest family violence agency. Elizabeth Dacus, director of finance for The Arts Community Alliance (TACA), has worked in accounting and finance for the last 12 years. She has been involved with Partners Card since 2014 as a retail sales liaison. She also serves with Junior League of Dallas, Community Partners of Dallas, New Friends New Life, Bryan’s House, and Highland Park United Methodist Church. Jane Rozelle, a Dallas native and Episcopal School of Dallas student, worked in media and film acquisitions in Los Angeles before returning to Dallas, where she is now PaperCity Magazine’s social editor. She is a member of The Junior League of Dallas, The Wilkinson Center Young Friends, the Dallas Contemporary’s Board of Young Professionals, and The Young Professionals Group for Earth Day Texas. She also serves on committees for Community Partners of Dallas, Girl Scouts of America, and The Family Place. Samantha Wortley has been involved with a variety of nonprofits, and has chaired several events, in Dallas. Her affiliations include the Cattle Baron’s Ball, Young Friends of the Ronald McDonald House, Heroes & Handbags, Junior League of Dallas Fund Development Team, Community Partners of Dallas, and The Family Place. She is also a board member of the Women’s Auxiliary to Children’s Medical Center, and serves on committees for various philanthropic luncheons. You Are Winners, Barbie & Ken Cordier!